Many people think of pampering and relaxation with facial and skin care treatments, but there are also several health benefits. Skin care treatments deep clean the skin, increase circulation, and slow the skin-aging process. An attractive appearance also increases self-confidence. 1) Cleanse the skin to remove oil, dirt and toxins. Cleansing also opens up the pores and removes dead skin and particles. Excess oil can cause blackheads and acne. 2) Tone the skin. Facial toner removes residue (like chlorine and minerals from tap water) and helps the skin retain moisture. 3) Moisturize the skin. Skin looks better when it’s hydrated. Moisturized skin is more pliable and wrinkles less noticeable. It’s important to use the right moisturizer for your skin type. Are you dry, oily or normal? Facials and other skin care treatments are personalized based on your skin type. Sensitivities and allergies are also considered. It’s always a good idea to consult with a skin care specialist to find the best products and treatments for your skin care. Fresh Face – All ages find relaxation during this mini facial with steamed towels, all-natural cleanser and moisturizing massage. 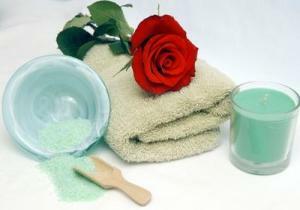 – This facial includes hand or foot massage and all-natural products selected for your skin type. Enjoy cleansing, exfoliation, detoxifying mud mask with steam and moisturizing facial massage. Available for teens, men and women. Deluxe Facial - Select from Deep Cleansing or Anti-Aging. Our Day Spa Facial is enhanced with either extractions or intense hydration with massage targeted at reducing fine lines. Enjoy an exfoliating foot treatment while your mask sets. – Get rid of blemishes and clogged pores on your back, while enjoying the benefits of a back massage. Includes: double cleanse, exfoliant, extraction, massage of back, neck and shoulders, rejuvenation mask with steam and warm towels, finished off with a moisturizer. to learn more about your best skin care treatment.